Note: I won't give quantities to this recipe since you can tailor it to your taste. Take the bread and cut in half and then split it down the middle. Apply some butter on the inside of the bread. Sprinkle some granulated garlic powder and spread it over the butter evenly. 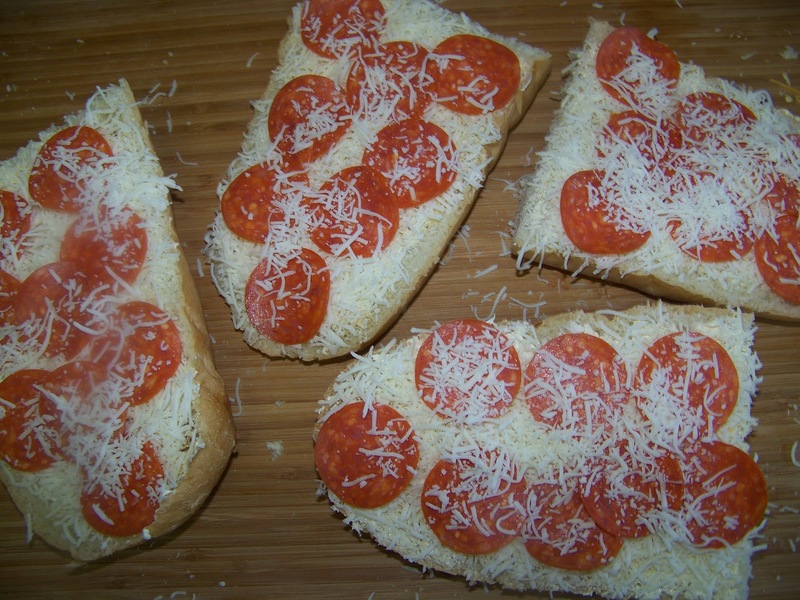 Next layer the pepperoni as desired and sprinkle with mozzarella cheese. Bake in a 350 degree oven until cheese melts and bread gets toasted. (10-12 minutes). Serve hot or at room temperature. Enjoy. Hi Ramona! These look so delicious and easy to make. I love such quick fix dishes! They look wonderful! And so easy to make too! 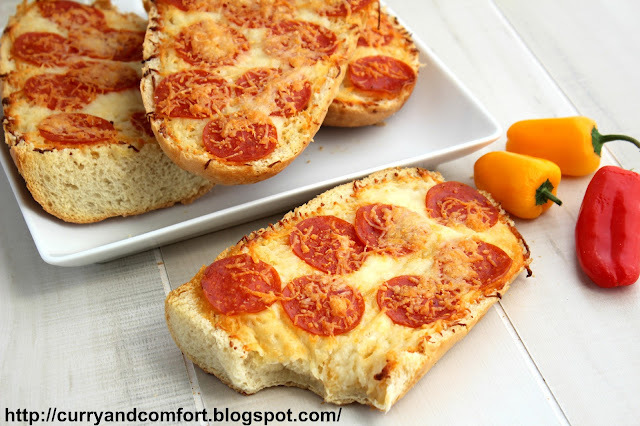 Who can resist to this absolutely droolworthy bread pizza. yum! I've never made these but i do buy them frozen....next time I will have to make them myself! i LOVE french bread pizza, definitely need to try this. yummmyyyyyy! 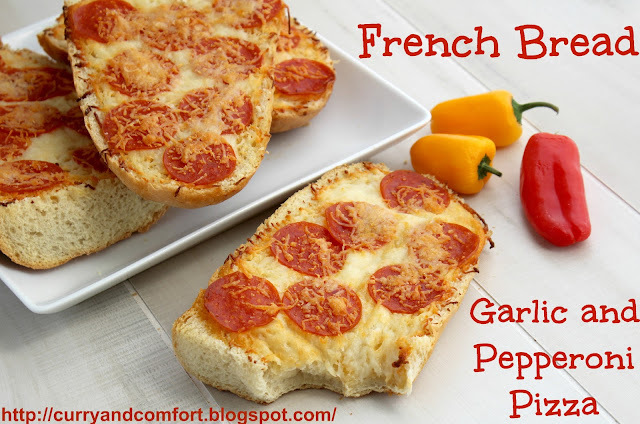 Love french bread pizzas! 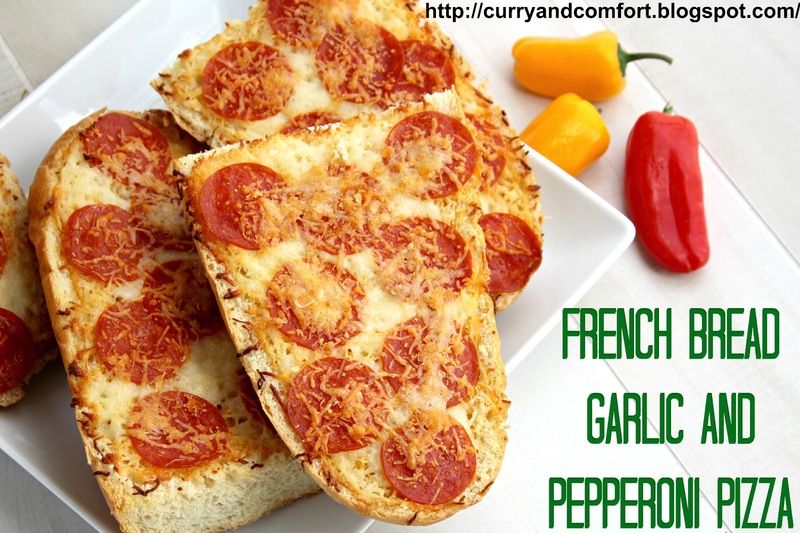 They are perfect quick weeknight meals! I'm pretty sure Dudette is already headed to your house for dinner. :) These look delicious. My friend, you are the queen of the good deal. I want to be like you when I grow up. 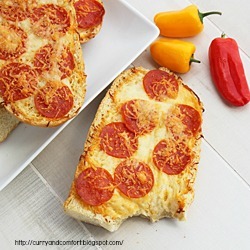 French Bread Pizza was my favorite lunch at school - I haven't had it in ages. Ramona this looks freaking fantastic! And a great way to use old bread :D Yum! I have been wanting pizza all week but was too lazy to get or make the dough. Problem solved. I love that you can make these as fancy or as simple as you want. Looking forward to seeing what you come up with for the rest of your stash. French toast maybe? Deja vu! I use to make the same type of thing with old bread when I was a kid! What fun!